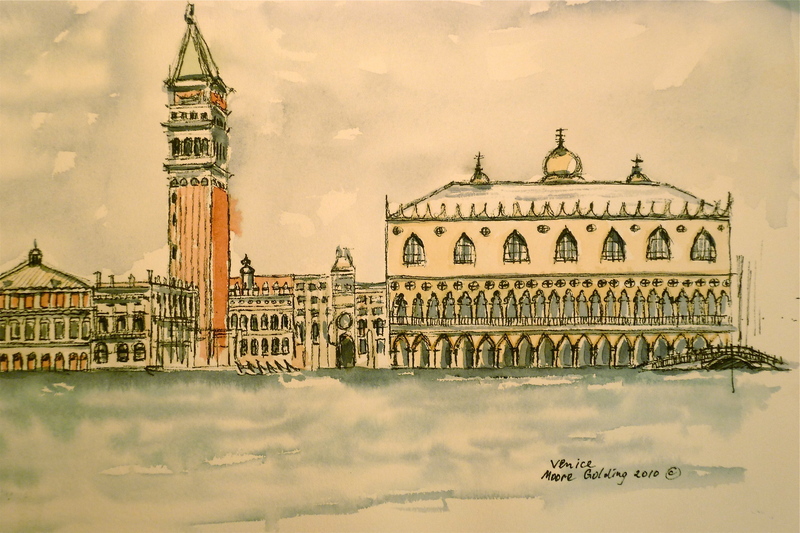 I did this pen and wash whilst sitting on the steps of the church of San Giorgio Maggiore on the island of the same name in Venice. It is the same place that Canaletto did paintings from, although he probably painted from the bell tower. I was looking for this spot when we were on a vaporetto and leapt off at this stop! We didn’t know how beautiful this church was inside, but Kevin McLeod did and it is featured in his journey to Europe.